There has been a lot of pre-launch hype around the good-looking new Ford Ranger Raptor. The engine’s too small, some said. Was a 10-speed automatic gearbox really necessary, asked others. Some punters questioned whether Ford Performance’s engineers really did enough for this Ranger to earn that Raptor nameplate – a quite revered plate in the USA, where the Ford F150 Raptor is sold to the tune of 30 000 units per year. Well, we’ve finally driven the new Ranger Raptor. So let’s answer some of those questions. The two-litre bi-turbo engine is small in capacity, yes. 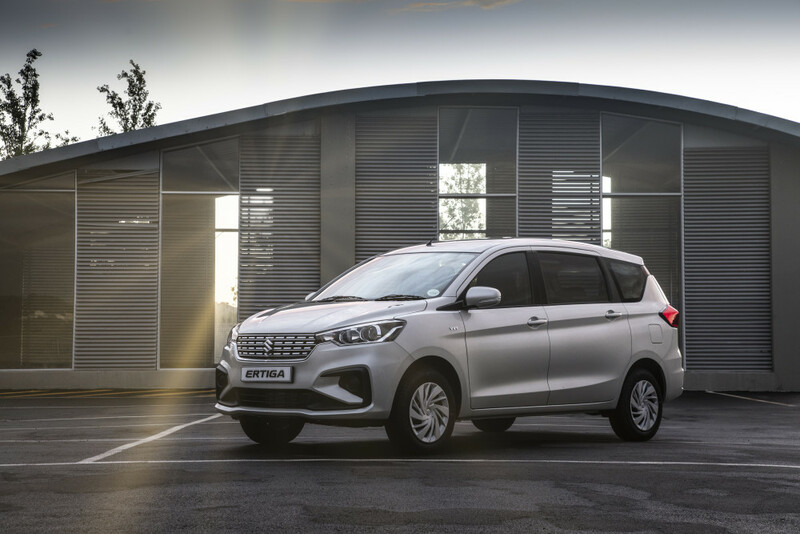 But the good news is that it has plenty of punch, with especially the low-end torque (which peaks at 500Nm) that is impressive. There is virtually no turbo lag in the game. Combined with 157kW of power the smooth mill doesn’t provide blistering performance, but rather brisk and efficient performance. The 10-speed automatic gearbox? It works a charm, and in most conditions it shifts so smoothly the driver hardly notices. You can also go full manual mode, and shift gears via two huge paddle shifters behind the Raptor steering wheel. 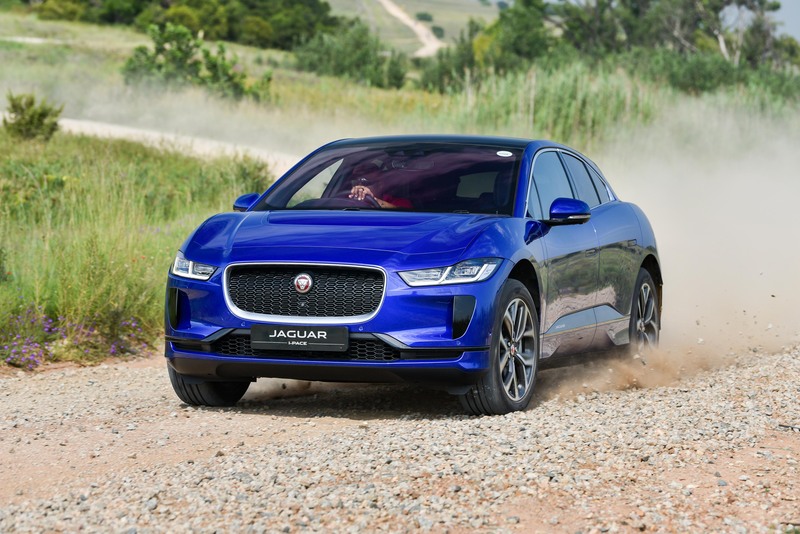 And in the sporty modes the software will actually hold the hold the gears like a manual ‘box – and not override the driver’s inputs when it decides that a higher cog is required. The Raptor features some unique driving modes, including the rally-style Baja mode. In this mode the electronics alter steering and throttle response, and the gearbox automatically holds onto the ratios longer, and aggressively gears down when you hit the brakes, even blipping the throttle for those down changes. There’s also a low-range transfer case, and the driver can select between 2H, 4H and 4Low. 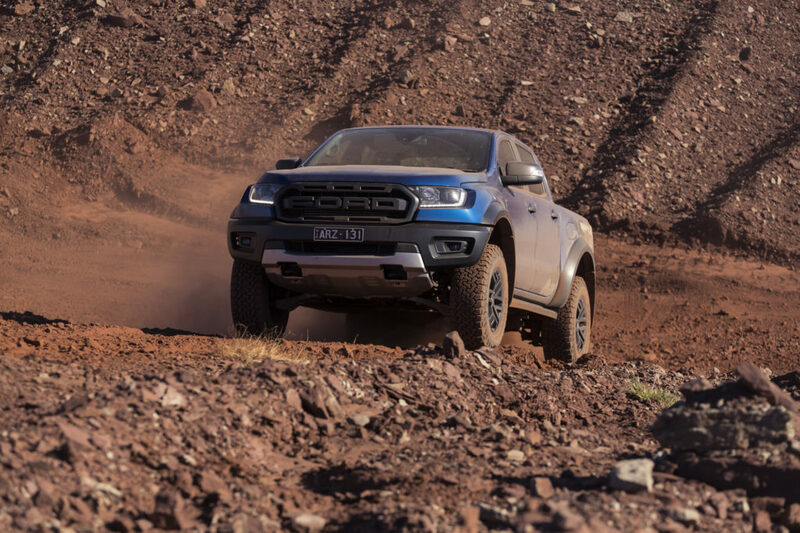 A rear differential lock, hill descent control and traction control system are also standard, and the Raptor rides 50mm higher than a Ranger Wildtrak 4×4. But it’s the Raptor’s suspension that is the really impressive bit. This is a bespoke design, in the making for three years. It’s essentially a Ford Ranger front end, an Everest rear end (with Watt’s link set-up) with specially reinforced and lengthened chassis beams. Special Fox Factory coilover dampers with external reservoirs (like a rally car), and there’s also special control arms, and various other custom parts. The Raptor’s front and rear axles are also 150mm wider than a standard Ranger setup. 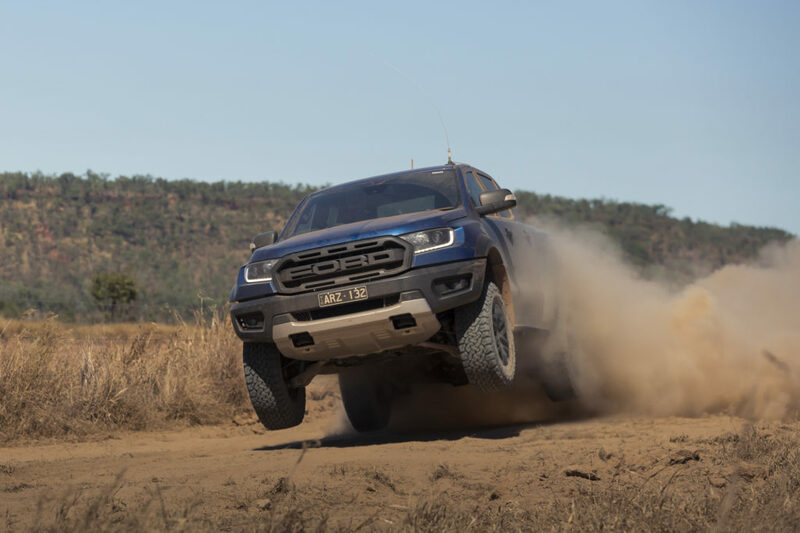 Even the BFGoodrich All-Terrain KO2 tyres are special – the tyre company developed the tyres with their unique compound specifically for the Raptor. 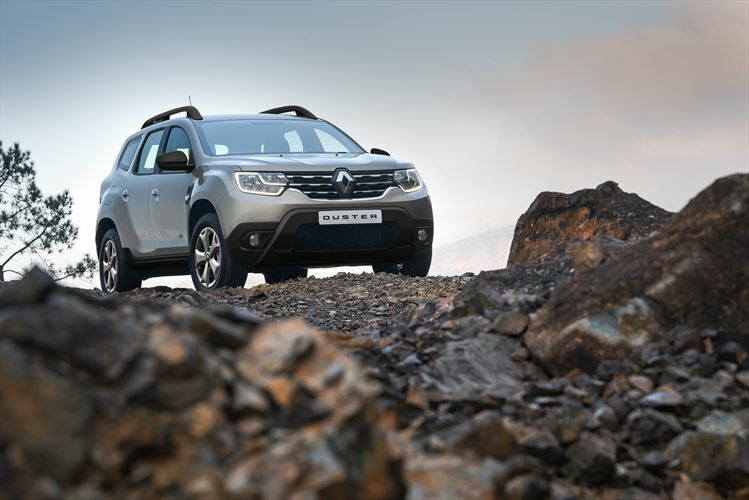 The result is a tough bakkie that will be able to tackle and complete the Dakar Rally – and drive the kids in surprisingly plush comfort to the school. Instead ‘hit it mate!’ was the order of the day. And we hit it, over and over and over, the upgraded Raptor taking it all in its stride. It’s the complete package that is so impressive. According to the head engineer the design aim was to create a package that would ‘flatter the novice and reward the expert’. It’s a design brief we reckon they’ve comprehensively nailed. 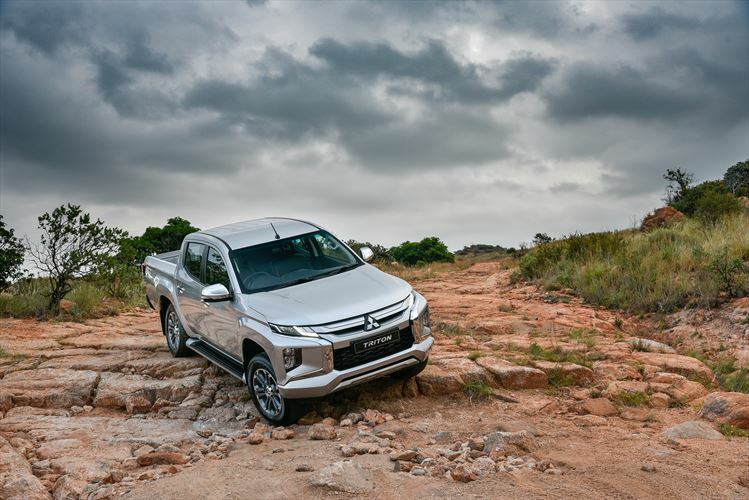 The brakes, the steering, the torque that allows you to blast out of the slow corners, the fact that you can hit those ruts and bumps at full taps. What about tar then? It must be rubbish on that surface? It’s actually brilliant on tar. Mountain pass ahead? 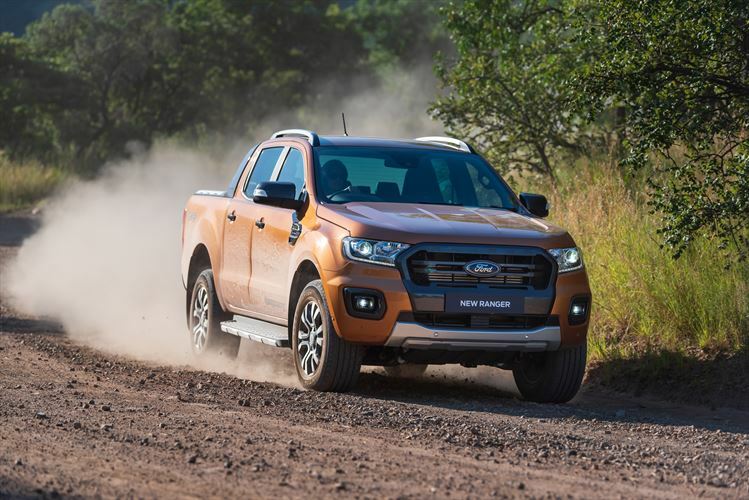 No worries… chuck this bakkie into a corner and, with very little body roll, and like a proper performance SUV, it will follow the chosen track, with a nary a hint of understeer or oversteer. It just feels so planted, and sorted. The steering feedback is excellent too. Getting the Raptor out of shape on a tar pass would require a fair level of bravery, and a ham-fisted driving style. If you’re smooth and accurate with both steering and throttle, the Raptor offers huge amounts of reward on a tight mountain pass, no matter the surface. The styling? 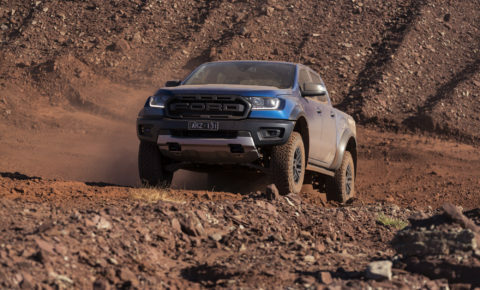 With its 150mm wider axles, the bodywork has also received an upgrade, with new side panels (from sheet moulded compound), a new grille and other details finishes that turns the already handsome Ranger into a really cool, aggressive and purposeful beast. In the cabin there’s the rally-style steering wheel, and the bespoke (and very comfortable) Raptor seats, covered in leather. It’s very comfortable and luxurious. The price? There is no confirmation yet, but we reckon R800 000 is a possible ballpark figure. We never thought we’d say that R800 000 might be a reasonable price for a bakkie. But in this Raptor’s case… well, we reckon it may very well be worth the loot if you drive a lot of tough gravel roads, and you like to drive them fast. * Read the full technical report in the October issue of Leisure Wheels.